offers you all you need when planning a fun event. From Tents and Tables, to Chairs, Linens and Staging, we even offer fun-food concession items such as cotton candy machines, hot dog carts and popcorn! Whether organizing a corporate or township event, hosting a holiday luncheon or dinner at home, celebrating a birthday, graduation, mitzvah or wedding, we are known as your one-stop party, tent and event rental service. All our tent packages include heavy-duty framing with tents that can be set up on grass or solid ground or pavement. Available for pick up-we also provide courteous set up and delivery as well as take down and pick up. Take your time viewing our site to see everything available to you. Be sure to call us for the quickest service with any questions about specialty orders for items you can’t find on here, tent sizes, party rentals or event planning services. You can also use our Online Contact Form to connect through email as well. Thank you for considering our services for your next important event. Sterling Party and Event Rental has been servicing the local tristate area for over 15 years, creating excellent setups for all types and sizes of gatherings. We look forward to helping you plan an excellent event. 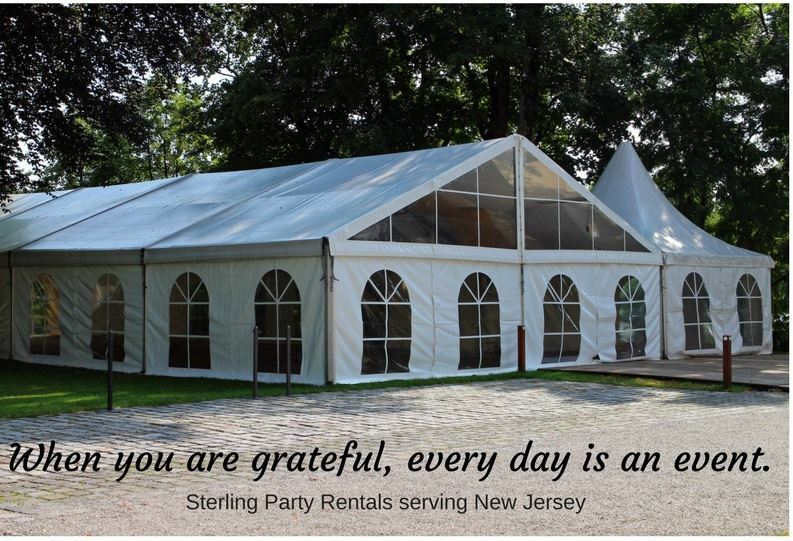 it is our pleasure to provide to you your tent and party rental products and services in Paterson, Hawthorne, Fair Lawn, Wayne, Paramus, Ridgewood, Haledon, North Haledon, Westwood, Glen Rock, Montvale, Montville, throughout most of New Jersey and NYC.